There are occasions when you recieve a complete backup of a database from a place different then yours and have to do a restore. normally a restore is simple . put the files in a directory run rman catalog on them and you are done. but what if you have rman configuration parameters stored in the controlfile and you are trying to duplicate the database. During a duplicate rman will restore the controlfile and then use the parameters associated in the controlfile for the next steps. I hit this issue when the db i was trying to duplicate has sbt_tape parameter and the host i was trying to duplicate on has no MML configured to it. After trying a couple of times with no luck. I opened an SR and got a response from a very helpful Oracle Support guy (even on Sev 3). Below are the procedures i followed to solve my rather simple problem. 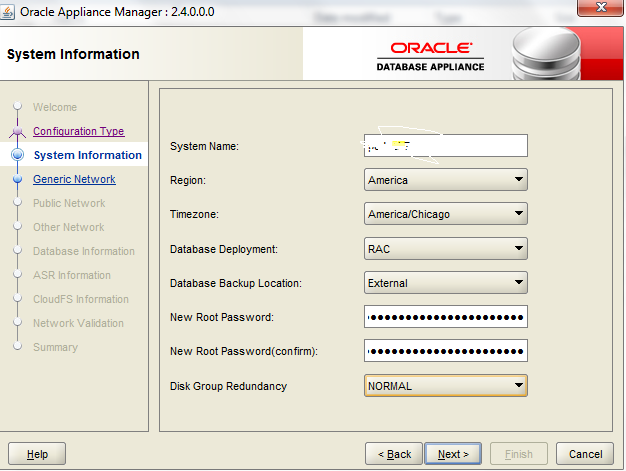 See the RMAN reference guide under CONFIGURE for details on how to do this. 8. Run the Duplicate, which now will use the controlfile copy we created with correct RMAN configuration. I was unaware of doing something this way and i guess its good to learn something new everyday. 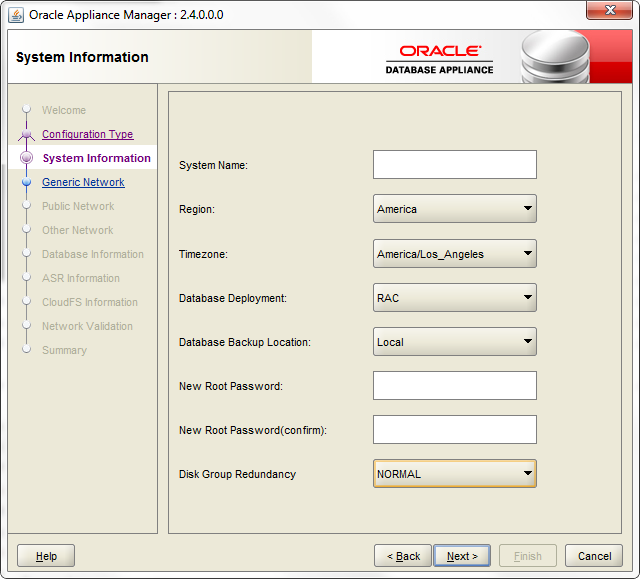 To install an new EM12c environment it is highly recommended you run the emprereqkit utility . This utility is accessible thru the installation binaries in the $SHARED_SOFT_PATH/12.1.0.2/install/requisites/bin directory. if you are running a prereq check via a shared mount point . you might hit an error like the one below. This error happens if you ran an emprereqkit on another environment and never completed all the tasks. empreqkit creates a state file that keep tab on the state of the job. If this state file is there it will not allow you to run a seperate session until either the old session on the old database server is completed or the statefile is removed or renamed. 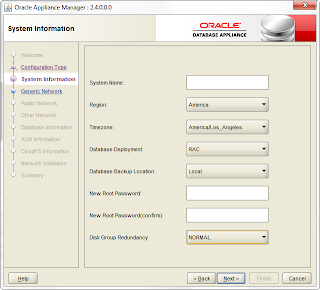 This will allow you to either further patch the system or run a deployment . The difference between the CleanupDeploy.pl vs Baremetal can be attributed to 2 main things and while both must be used with caution and provide loss of data. Cleanupdeploy will not format the root filesystems so anything not on shared disk is preserved but will keep the old version of the OAK software in tact. Bare Metal restore on the other hand will wipe out everything but will also give you the software version you need. For new deployments if your intention is to go to 2.4 and your ODA is running version 2.1 my recommendation would be to do a Bare metal prior to deployment. The CleanupDeploy.pl will help in redploy an ODA for cases like moving from HIGH redundancy to NORMAL redundancy if you have not yet deployed an ODA or of you want the additional space and have something like Dataguard to failover you database . rebuild the ODA and fail it back. In the 3rd Part of this series i will walk thru the deployment process and how to do deployment manually or via the OAK Configuration Assistant. This is just a post ot point out that ODA Patch 2.4 is out. ODA Patch 2.4 requires 2.2 or above to install. I will play around with the trace file analyzer to see what it brings to the table.